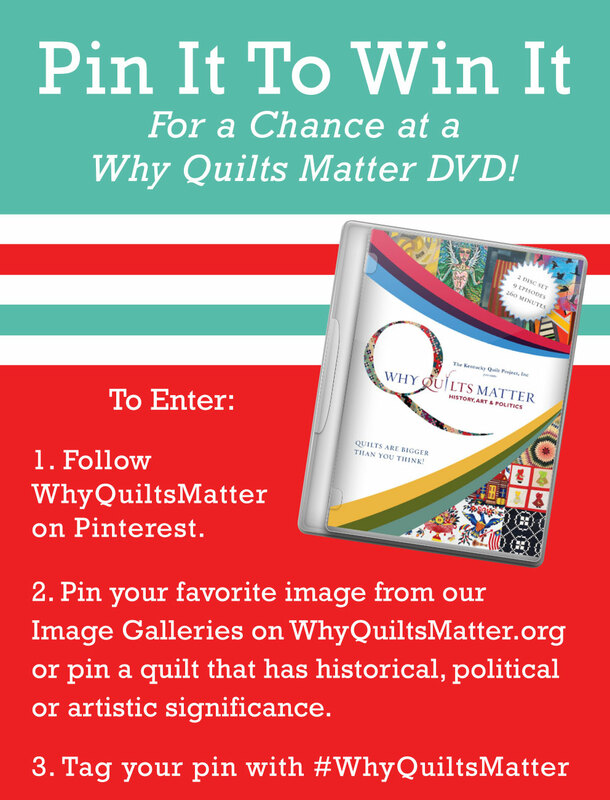 Patricia P. from Barre, VT.
Now through the end of October, 2013 – take part in the Why Quilts Matter: History, Art & Politics Pinterest contest for a chance at a free copy of the series DVD set. Simply follow us on Pinterest and pin a quilt that has significant meaning to you by October 31. Be sure to tag your pin with #WhyQuiltsMatter, so we can find your entry. To start, check out our image galleries to find great quilt images, perfect for pinning!